Serenity from a single hand. This elegant mudra form of fingers and hand is a symbol of blessed enlightenment. 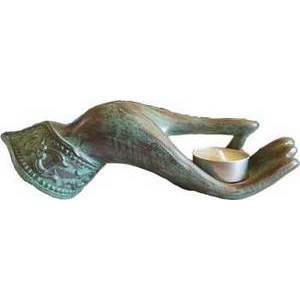 It is a resin cast tea light holder colored in bronze with verdigris (green) highlights. 8" with candle.